Today I went to Chapters for an afternoon between Church functions. I find it interesting how much you can see about God from the many books around. Very few seem to be neutral on the topic of God, even in the fiction section. Though the opinions on God may be at best superficial, there is always a comment on God. It got me to thinking about the common grace we see in the world around us. If we reflect for a moment on the world we see, we see the footprints of something. Whether we take that as God or not is a response to evidence that seems to say there is God. That said, the belief in God does not bring us to Christianity. In almost all cases, to become a Christian, one must be led there by specific actions through specific people or items (for me it was a Gideon Bible). To know that there is a God does not mean you have a true understanding of that God. As the Bible says “So faith comes from hearing, and hearing through the word of Christ”. 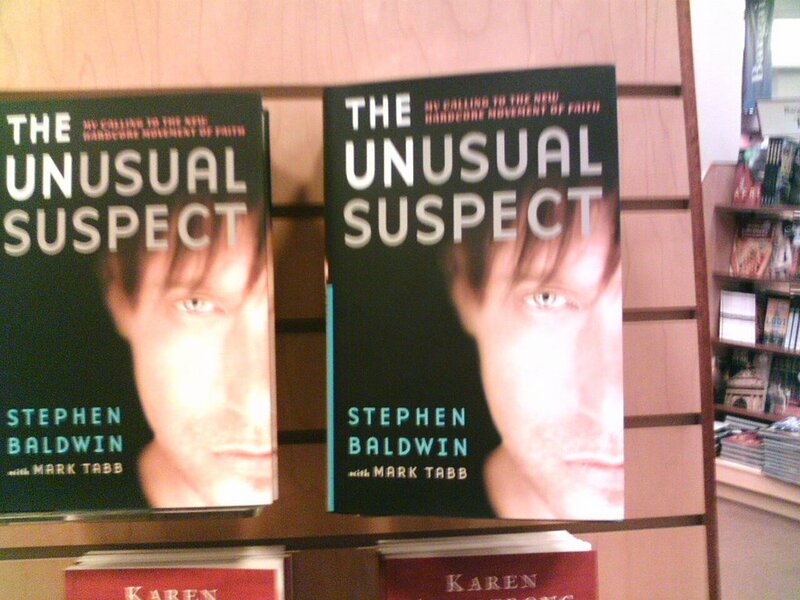 At another point in my travels through the bookstore, I saw an autobiograpical piece by Stephen Baldwin, who is also a believer. I think he’s only a few years old in the faith, but seems rather struck by the fact that God knew him well before he existed (Psalm 139:13, Eph 1:4). Baldwin seems to believe (and I agree) that the sense of everything in his life was to be found in Jesus Christ, and how we are called to follow Him for all we’re worth. 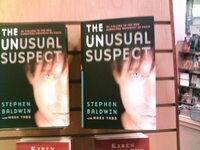 Even the things he did as a non-Christian are being worked together for Mr. Baldwin’s good (Rom. 8:28). My thinking would also say that there is nothing in your life that is a surprise to God, and there is nothing (including the sins you’ve done, and are now repenting of or will repent of), that cannot be turned to the Glory of God. The question is simply whether or not a person will turn to Christ to find the meaning, following from the realization that there is a God. I didn’t know you had a blog! I’ll have to add it to my list of blogs to check regularly. Hopefully next time I comment, I’ll have something to say about your actual post but for now I’ve got nothing to add. You went to Chapter’s without me? Even worse, you went to Chapter’s without me on my birthday? Even worse than that was that you didn’t get me anything!! An interesting post. I will comment later on the actual post, but I must be off now.